What happens when a company's cost cutting weakens its ability to develop cutting-edge technologies? In the automotive space, it can make for behind-the-curve products and the danger of irrelevance. Today's COTD exemplifies the good-commenter policy known as AAV — always add value. When a non-obese human body goes into starvation mode, it burns muscle first. That's because muscle requires more resources to maintain than fat does. Naturally, the effect of burning the very thing supporting a body's future viability can be catastrophic if it goes on too long. As Kraakmo points out, eliminating a company's more technology-forward division in favor of its core business may make good accounting sense, but it doesn't bode well for future product — the very stuff that might support the company's long-term health. We'll let him continue from here. I live in Milwaukee I go to school at UWM, and no, Harley is nothing like Ford. Ford made smart moves but focusing on their core product, since so many others were just duplicates (Jaguar X Type, Land Lover Freelander), they also invested in developing new technology, and took a page from their european branch (which had been very successful, and had a lot of talent) and incorporated it into world wide platforms with common tools, in order to offer everyone a high level of quality, performance while cutting costs. 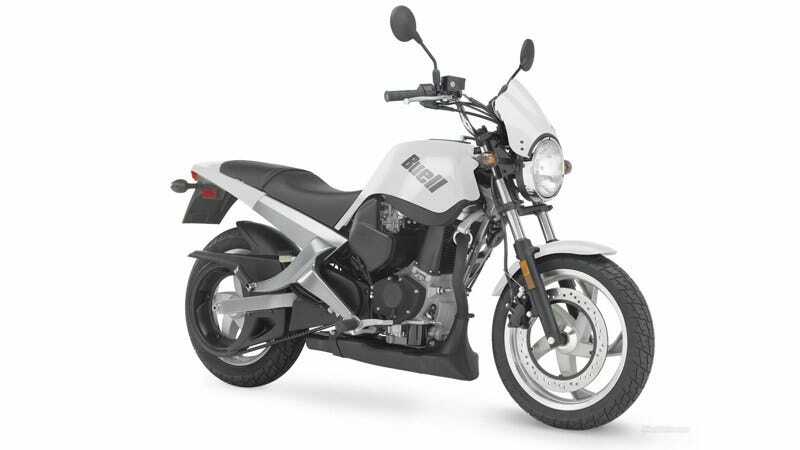 Harley Davidson eliminated their sport branch (Buell) which had the brilliant mind of Erik Buell at the helm, who was continuously pushing to advance the motorcycle (fuel in frame, brake disk mounted to wheel instead of spokes, etc). When they eliminated Buell, they both cut their market share in another market (sport bikes) and also reduced their exposure for future Harley owners (the original idea was to learn on a Buell Blast, then buy a Sportster). The last big advancement that Harley had was the V-Rod, and the most advanced thing on that was the liquid cooled engine that was inpart designed by Porsche (since they had experience going from air cooled to liquid cooled engines, which has NOT trickled down to any other bike except the v-rod line). They continue to use nearly the same engines that they have for the past 100 years, and the smallest bike you can get is an 883 cc, and that is still around $7,000 for a completely stripped version. My friends (both Engineering professionals and engineering student-interns) have been losing their jobs, which is cutting their talent pool for the future. Mind you, these students were the extremely talented few who were able to get the jobs in the first place, during the downturn of 2007-2009. Their product line is now focusing more on "specializing" bikes with accessories and paint jobs, rather than bikes for the masses, which means more individual assemblies, and less streamlining with processes. You look at their bikes today. They are just now catching up with things like ABS (BMW has had it since the 90's). As i see it, the company is simply being gutted from the inside. I understand that this is needed in order to reduce both fixed and variable overhead, but if you do not invest in the future of the company (their customer base is literally dying) then they have no future at all.